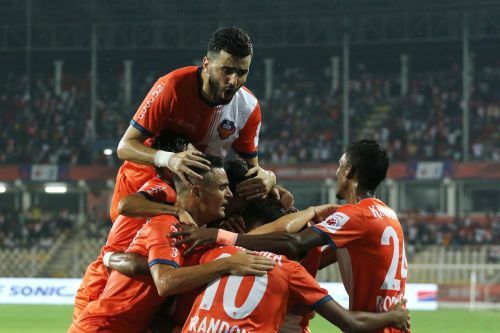 FC Goa returned to the summit of the Hero Indian Super League (ISL) table and subsequently booked their safe passage into the playoffs with a comfortable 3-0 win over Kerala Blasters at the Fatorda Stadium in Goa on Monday night. The Gaurs started positively and established a two-goal advantage over the visitors within the space of three first half minutes to give them a healthy lead ahead of the interval. Ferran Corominas broke the deadlock in the 22nd minute by netting his 14th goal of the season, when he leaped into the air and guided Brandon Fernandes' cross into the back of the net with a clean header. And Kerala conceded their second goal in the 25th minute when Edu Bedia took full advantage of a series of unfortunate errors involving Anas Edathodika and Dheeraj Singh Moirangthem. Sergio Lobera's men were in cruise control and continued to hold the upper hand even after slowing down a bit in the early stages of the second half. However, the Blasters were unable to force the initiative and eventually succumbed to defeat when Hugo Boumous came off the bench to complete the rout and seal maximum points for Goa in the 78th minute. Goa will next face Bengaluru FC away from home on Thursday before playing their final game of the league stage against Chennaiyin FC next week, while Kerala Blasters end their disastrous campaign at home to North East United on 1st March. FC Goa made it look all too easy in the end with their swift and free-flowing football that has earned the plaudits so far this season. However, they would feel lucky to have not conceded against the run of play, just before they hit the visitors with two goals within the space of three minutes. Slavisa Stojanovic had initiated a neat exchange with Matej Poplatnik before swiftly running through on goal and finding the back of the net only for the linesman to flag him offside. It felt like the official got the decision spot on and the players did not beg to differ, but the replays suggested that was not exactly the case. Courage Pekuson was the player in an offside position when Stojanovic netted the wrongly disallowed goal and the Ghanaian was not interfering with play to be flagged either. However, the linesman made a hash of the decision and prevented the visitors from taking the lead. 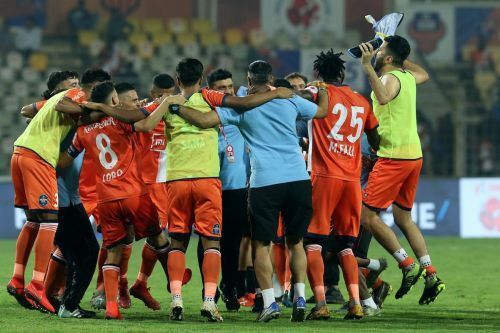 Just a few seconds after the resulting spot kick, Goa edged ahead through Coro before Edu Bedia capped off a stellar three-minute spell that saw them effectively put the game to bed. The Blasters would look back at lady luck and think about what could have been, but were they brave enough to begin with? Certainly not as much as Goa!